Honest Tea Founders Tell Their Story Of Not-Too-Sweet Success Back in the 1990s, Seth Goldman and Barry Nalebuff were tired of the super sweet iced teas available in stores. So they started their own company to cater to "more sophisticated, grown-up tastes." They chronicle their adventures and misadventures in a graphic novel called Mission In A Bottle. 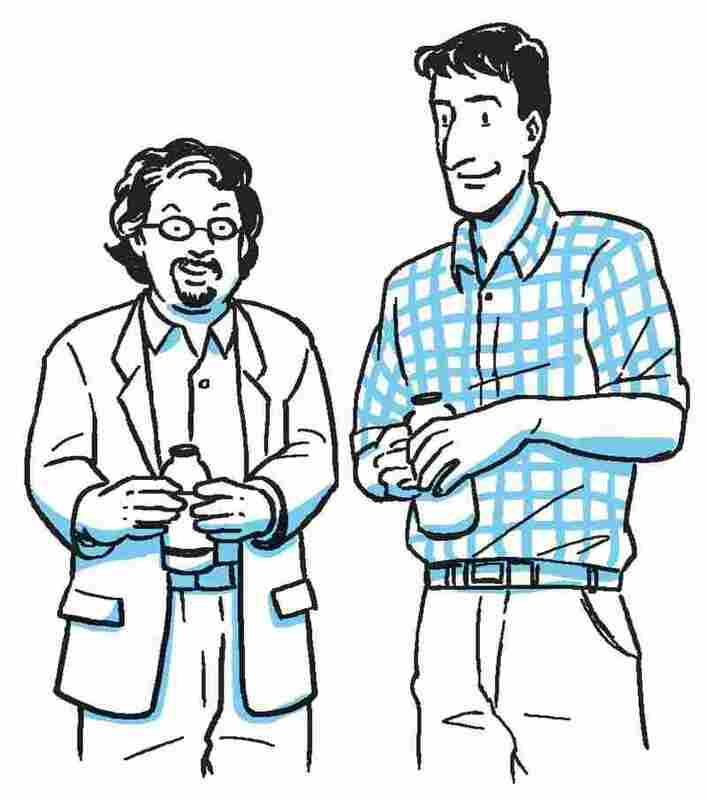 If you want to know what prompted Seth Goldman and Barry Nalebuff to cofound Honest Tea, here's the simple answer they give on their website: They were thirsty. Goldman had taken Nalebuff's class at the Yale School of Management, and they were both tired of the super sweet iced teas available in stores. So in the late 1990s, they started their own company based on the hunch that other people out there felt the same way. "What we realized is that there was a whole group of people like Seth and myself who were being left out of the market," Barry Nalebuff tells NPR's David Greene. "Nobody had paid attention to us. They didn't get it. We're adults. We had more sophisticated, grown-up tastes. We had no longer the same sweet tooth that we might have had as teens, and people weren't making what I would call normal beverages for adults." 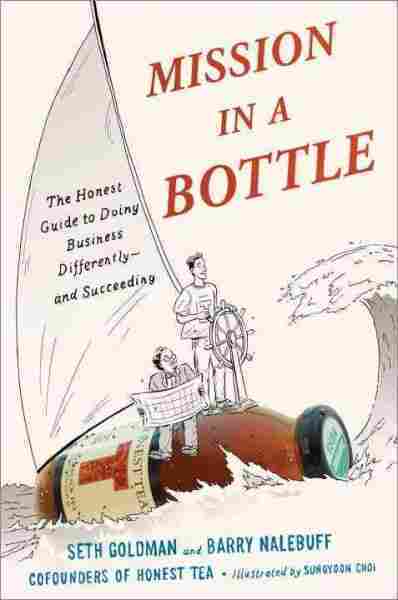 They chronicle their adventures and misadventures in a new graphic novel, called Mission in a Bottle: The Honest Guide to Doing Business Differently--and Succeeding. On how before you win over consumers, you have to win over distributors. Goldman: "These distributors were used to sweet drinks. This is what was in the warehouse so it's what they drank. And they would taste our product and say, 'This isn't sweet. Where's the sugar in this? It needs more.' We weren't going to persuade them on the merits of taste. We had to persuade them on the merits of the business opportunity. We could say, 'Look, it sells to a consumer who's not buying your products.'... We've just been very fortunate, we've had consumers who get passionate about our product, who kind of harass the grocery manager if [the] product's not on the shelf, or who will go to another store to buy the product if it's not there." Nalebuff: "This is a case where the complementarity between Seth and myself really came into play. Because, as an innovator, as someone who likes to do things differently, I was always trying to fiddle. And Seth helped put on the breaks sometimes; to realize nope, this is good enough." Goldman: "One time, we actually developed a tea bag line. And we kept identifying ways to improve it." Nalebuff: "Each change led to another problem. ... We tried to make the box bigger, but then they ended up being not quite so stable; it didn't fit on the shelves. And so you try and make one little tweak, but it ripples down and there's always unintended consequences." Goldman: "We've always recognized it's about continuous improvement. Our first production run was pretty ugly. We called it Honest Tea because we wanted to brew it with real tea leaves ... but we hadn't perfected the method of how to use real tea leaves. In the beginning our first production runs had about an inch and a half of tea sediment at the bottom. So we always wanted to innovate and iterate as we did it, but that tinkering can just get very challenging because you're mid-stream — we're also still selling this product in the marketplace." Goldman: "We knew to make this a national brand, a powerful brand, an enduring brand, we needed to get distribution beyond where we were. We were doing well in natural food stores, we were doing well on the coasts, but we weren't able to give coverage to really most of the country. Initially when Coke invested we were in 15,000 stores. Today Honest Tea is in over 100,000 stores. And we're starting to have conversations with national chains we never had access to before so the doors that are open now — they open much more easily.
" ... I certainly understand why some consumers had perceptions that we had 'sold out' but I look at what we're selling: We're selling a product that's organic: It was organic before, it's organic now. We're reaching millions more people than we were before. So I don't feel a downside." Nalebuff: "When the social responsibility is literally steeped in the product, if you can go from selling 100 million bottles to a billion bottles, you're really doing a much better job of achieving your mission. Even a small change in Coca-Cola – a 1 percent change in them – is going to be a whole lot more than what we could do on our own. The fact is, this is where consumers are going." "I've started another beverage business. It's called KomBrewCha. It sells mildly alcoholic Kombucha. Our motto is: 'Get tickled. Not pickled.'"